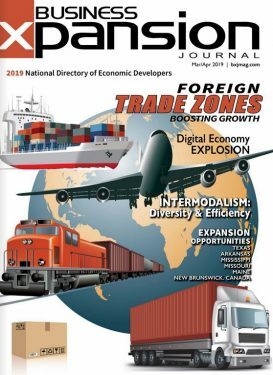 Canada, the United States’ neighboring economic ally and steadfast trading partner has weathered the economic storm of recent years, but is still looking for better economic growth, in part by ratcheting up exports and making sure that manufacturing has all the economic tools it needs to make the comeback that Canadians expect. The Canadian economy grew moderately in 2014, says Marie-Christine Bernard, associate director of provincial forecast for the Conference Board of Canada, and continued at a good pace until the end of 2014 when there was a significant decline in oil prices. “That is affecting the outlook this year for Canada,” she says. Economic forecasters saw a weak first quarter of 2015, with a lot of that weakness due to the drop in oil prices that affected the drilling sector and capital expenditures on major projects in the energy sector, Bernard says. Economists saw the fallout from this weakness when the Canadian dollar depreciated vis- á-vis the American dollar. “We thought that depreciation would stimulate exports out of Canada into the U.S. But that didn’t really happen,” Bernard says. The country actually has two provinces in recession now —Alberta and Newfoundland and Labrador. The country continues to overcome the economic obstacles in its way from economic events of 10 years ago. This fall, an election is expected to create some wiggle room for economic adjustment, and the government has announced some tax cuts and other fiscal measures that will provide more disposable income. “So we should see the economy benefit from that as people spend this extra income,” Bernard says. Sohail Saeed, the director of economic development and tourism for Brampton, Ontario, says that the since the end of NASA’s shuttle program, the city has become a magnet for scientists involved in various high-tech specializations. In the case of Brampton, a robotic suturing device, one of the more unique new developments in the area, is made by MDA Robotics and Automation, the same company that made the Canadarm space arm for the U.S. space shuttle. There is also a new wellness center set to go. The 350,000-square-foot Peel Memorial Centre for Integrated Health and Wellness is a half-billion-dollar project is expected to be ready next year. “What that wellness center will do is take away treatments of kidney dialysis and things like that from the bigger hospitals and focus on continued patient care. Learn more by visiting www.peoplepoweredeconomy.ca. That, and the fact that the whole country is a tariff free trade zone, demonstrates the sound economic fundamentals of the country, Linteau says. That growth is led by Royal Bank of Canada, the largest bank in the country; Desjardins Group, the largest financial institution in Québec; National Bank Financial, the eighth-largest employer in Québec; and the Bank of Nova Scotia. But trade is one of the most significant economic engines of the country. 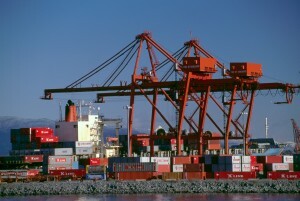 A growing trade target is now China, as well as other countries in Asia, especially through Canadian provinces on the West Coast, such as British Columbia. “These are provinces that produce a lot of commodities that are trading with China more than other provinces,” Bernard says. The country has signed seven new free trade agreements, most recently with South Korea, for a total of 11 trade agreements now in force with different trading partners. South Korea brought Green Cross Biotherapeutics Inc. to the Technoparc Montréal on the Saint-Laurent campus recently, and is in the early stages of building a $315 million biopharmaceutical North American headquarters facility there, the first project that came about as a direct result of the Canada-Korean Free Trade Agreement. “When we talk about business, we talk about the well-educated workforce,” Linteau says. “That is really the key differentiator that we have.” Education is compulsory in most provinces of Canada up until age 16 or 18, depending on the province. More than half of the country’s working age population ages 25 to 64, has had a tertiary level (college or graduate school) of education. “That is much higher than the U.S. and it is a key building block,” Linteau says. But just as with any country where manufacturing is a top economic force, Bernard says Canada is experiencing the beginning of the rush of baby boomers exiting the labor market. “Baby boomers have reached the age of 65 and some of them will constrain growth in Canada going forward,” she says. “The Mexican softball team just landed and is on the practice field,” says Lisa Hausz, manager of business development and marketing for the town of Ajax, talking about the excitement of the Pan American Games, the world’s third-largest international multisport games. Participants were in town early July for games that took place from July 10th through 26th. “Our fields are amazing, built to international level softball, and the town is very excited about this event,” Hausz says. In other developments, plans are underway to accelerate development in downtown Ajax. For example, a vacant parcel of land at the southwest corner of Harwood Avenue and Bayly Street will soon become a landmark site that acts as a gateway to the downtown. Medallion Developments Ltd. is proposing to build a high quality, mixed-use project over the next 10 years to 15 years. The development will contain 1,838 residential units in six buildings as well as 72,000 square feet of office and retail space. For complete details, visit www.ajax.ca. 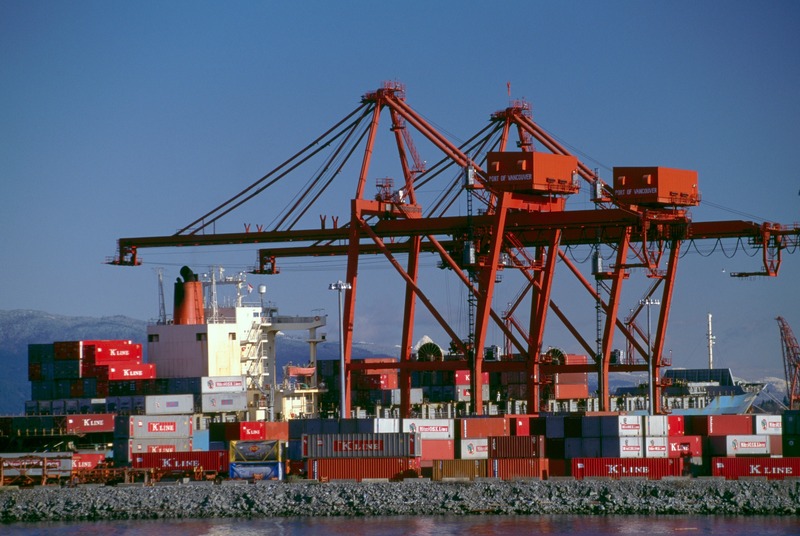 Canada relies on good infrastructure for the success of their trade objectives, with more than 100 commercial ports in the binational Great Lakes and St. Lawrence Seaway transportation system. Canada is moving forward with a new bridge, called the Gordie Howe International Bridge, which will connect Highway 401 in Ontario with Interstate 75 in Michigan. It is expected to be complete in 2020. The Canadian lifestyle is a mix of many rural towns and a few larger urban areas. Canada’s health care is publicly (taxpayer) funded: payment is generally not required for medical treatment. The country’s largest cities include Toronto, with 6 million people, followed by Montréal, Vancouver and Calgary. Housing prices can range from $500,000 in Toronto to $250,000 in Winnipeg, Alberta. Toronto has the highest cost of living of all Canadian cities; however, it is still very low compared to other countries.